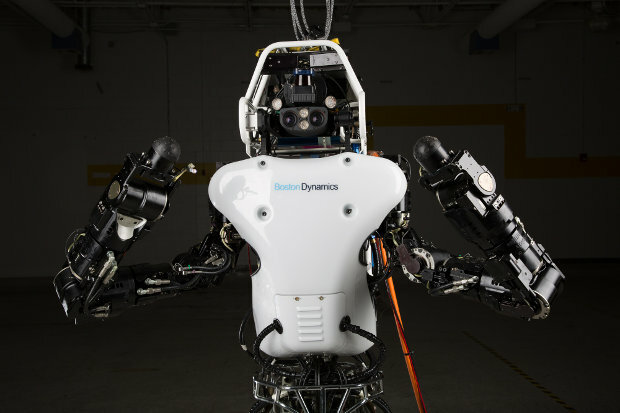 The Japanese telecommunications holding company SoftBank Group Corp. has announced that it has reached an agreement with Alphabet Inc., the holding company Google is part of, to buy the robots producers Boston Dynamics and Schaft for a figure that hasn’t been disclosed. Google bought the two companies in December 2013 as part of a series of acquisitions in the field of robotics and artificial intelligence but something didn’t go well in its plans, which have been modified. Boston Dynamics looked like a key acquisition for Google because the intention seemed to put it at the center of its robotics field plans. Together with other companies in the field of robotics and artificial intelligence acquired by Google, it was supposed to be included in a new business unit named Replicant, led by Andy Rubin, the creator of the Android operating system. However, after less than a year Rubin left Google and the project quickly started having problems. There are only unofficial statements about the problems in managing the developments of the various Boston Dynamics robots with the others within Google, later become Alphabet. According to Bloomberg, there were problems working together between Boston Dynamics’ engineers and other Google/Alphabet engineers and that contributed to its isolation within the holding. The development of robots continued and at the beginning of 2015 there was the presentation of Atlas Unplugged. However, the prospect was to wait a few more years for products available for sale but from the point of view of the image they were already discussed for some similarities with Terminator. Whether the rumors about integrating problems within Alphabets are real or not, in 2016 the holding officially started looking for a buyer for Boston Dynamics so its robots were no longer part of its business plans. Now people are wondering what part they’ll have in SoftBank’s plans, a holding that manages many projects in different technology sectors and last year bought the microprocessor company ARM. SoftBank also acquired Schaft, another robot producing company, in this case founded in Japan then bought by Google. Masayoshi Son, SoftBank’s founder and CEO, has stated his interest in robotics, believing that there are issues for which smart robots will be useful in finding solutions. Masayoshi Son opened Vision Fund, a technology hedge fund with a $93 billion budget. Maybe Boston Dynamics and Schaft will join it in a new effort to develop these advanced robots. The Japanese seem more accustomed to using robots than the Americans, so it’s possible that SoftBank will not get conditioned by their appearance.